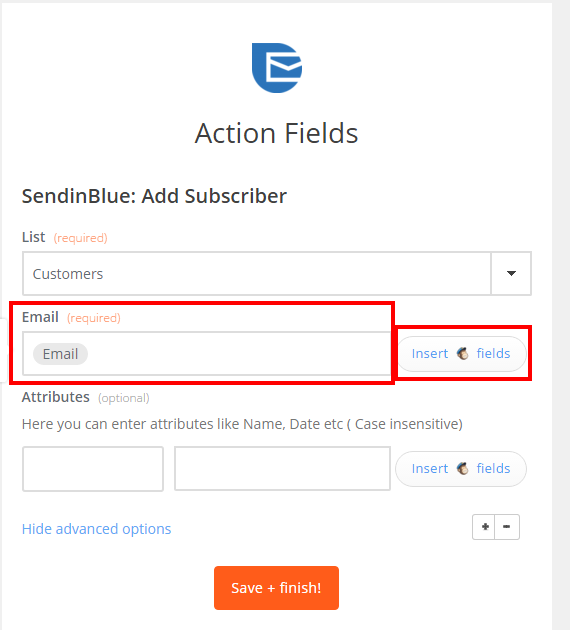 It is very easy to integrate MailChimp with SendinBlue using Zapier. Zapier is designed to connect apps and actions. More specifically, every time you add a new contact to MailChimp, it will automatically be added to SendinBlue. Note: Zapier only allows you to share new contacts between two applications once the Zap has been activated. It does not allow you to import all your previous contacts. You can also create your own zaps in Zapier. Feel free to send an email to contact@sendinblue.com if you would like another pre-configured zap.